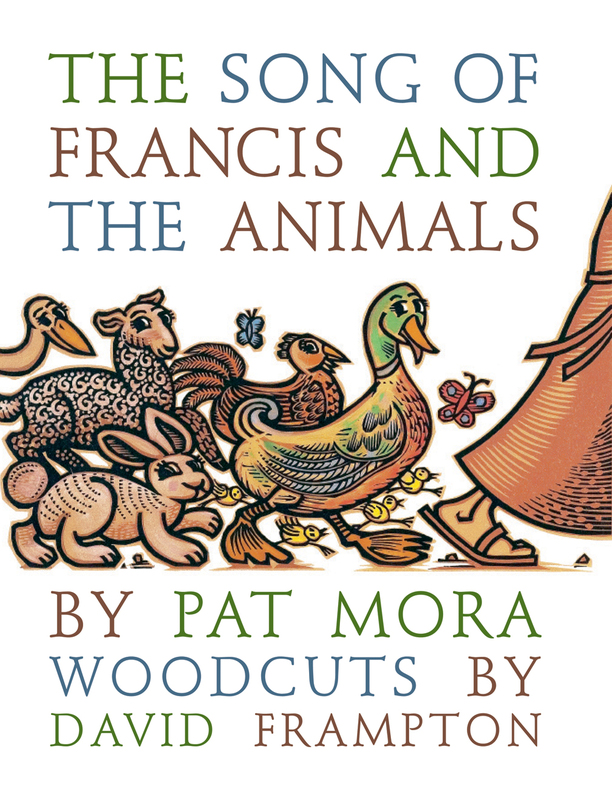 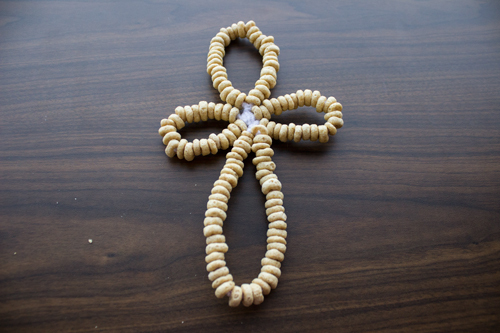 Take time to remember the sparrows this Lent with a simple cross that can be hung outdoors to bless the birds. 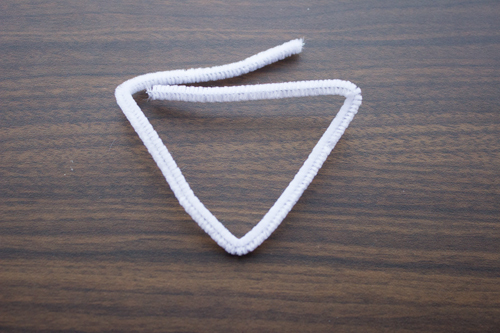 Step 1: Bend the pipe cleaner as shown. 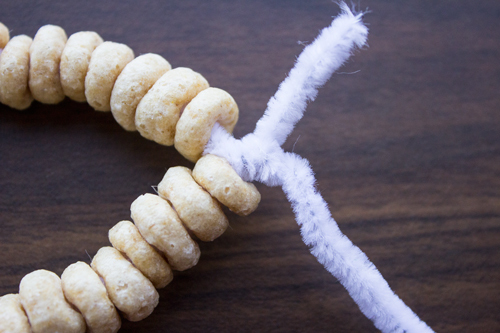 Thread cheerios on the pipe cleaner, leaving enough space at the end for about 1 or two Cheerios. 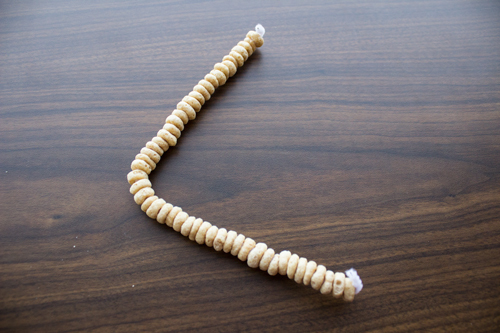 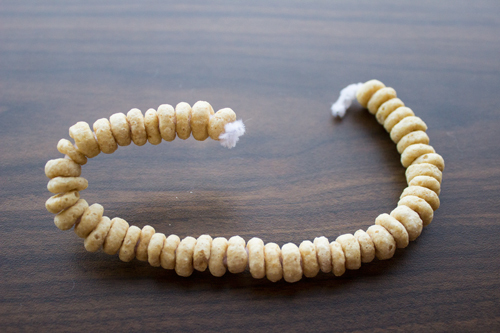 Fold the end over to hold the Cheerios in place. 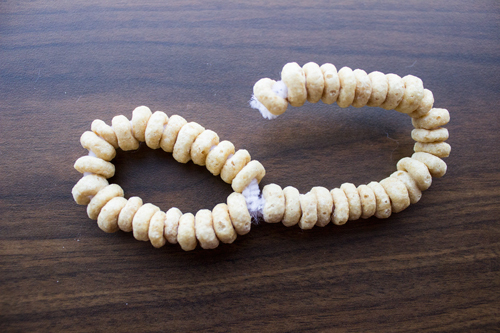 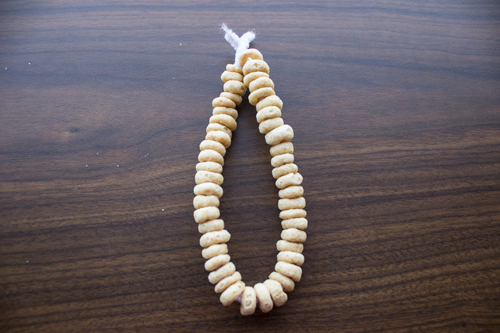 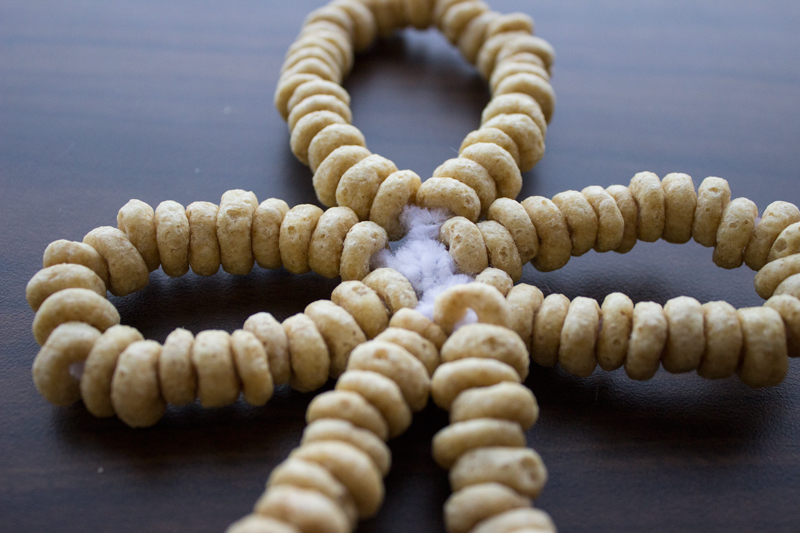 Step 3: Thread more Cheerios on another, shorter pipe cleaner. 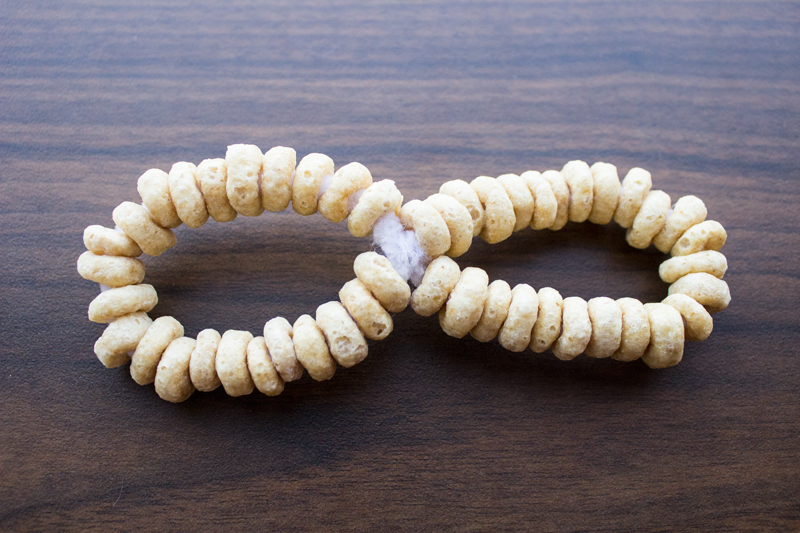 Bring the ends together to create an oval. 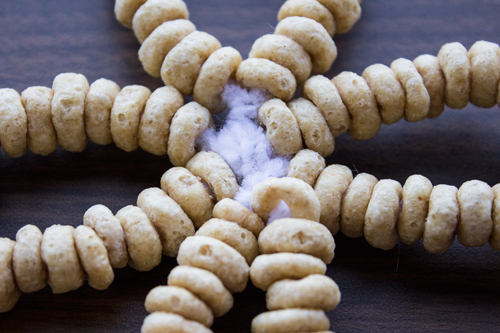 Attach the oval to the center of the figure eight. 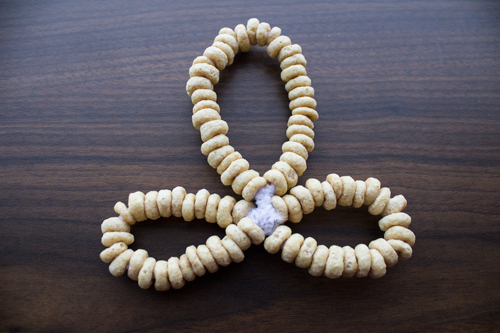 Step 4: Repeat step 3 with a full size pipe cleaner and attach it to the bottom of the figure eight. 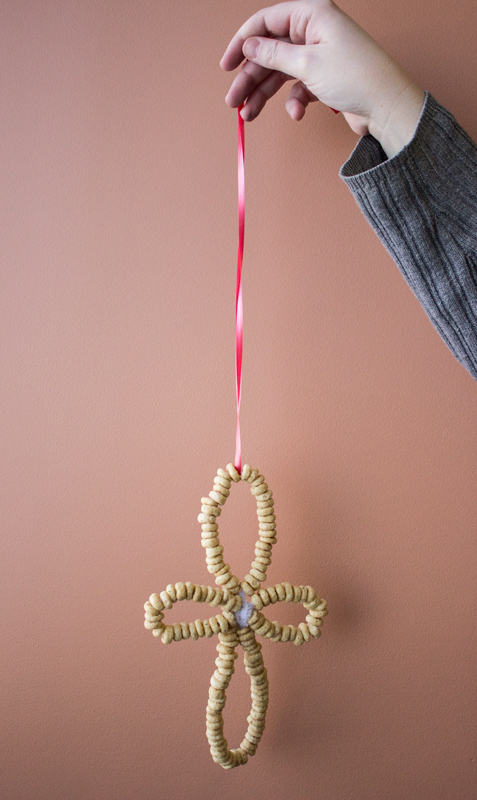 Step 5: Loop ribbon through the top of the cross and hang it outdoors for the birds.